Public Health officials have confirmed a fourth human case of the West Nile virus in Jacksonville and there’s a heightened concern that more people will become sick. Officials said the cases are spread throughout Dyuval County, rather than being isolated to a single area of transmission. 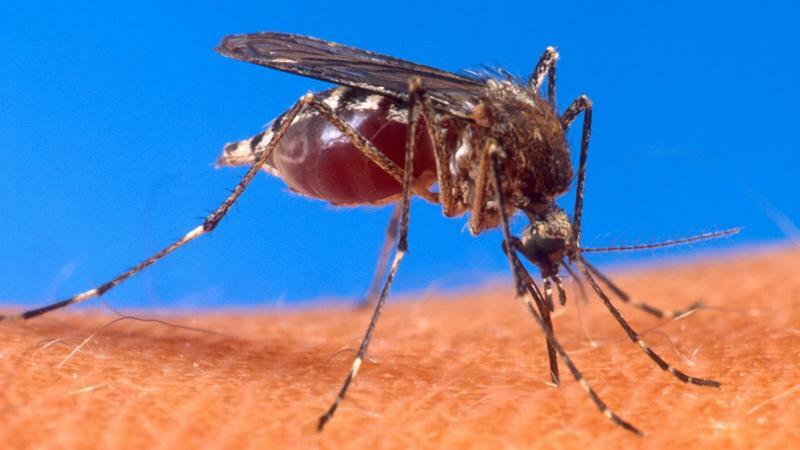 Two cases of West Nile have been reported in Nassau County, bringing to six the number of confirmed infections on the First Coast. “A cap from a Coca-Cola bottle, they could have hundreds of mosquito larvae in there, so anywhere you see standing water near your home, please tip it over and empty it,” said Alison Hewitt with the Florida Department of Health. • Drain water from garbage cans, house gutters, buckets, pool covers, coolers, toys, flower pots or any other containers where sprinkler or rain water has collected. • Discard old tires, drums, bottles, cans, pots and pans, broken appliances and other items that aren't being used. • Protect boats and vehicles from rain with tarps that don’t accumulate water. • Maintain swimming pools in good condition and appropriately chlorinated. Empty plastic swimming pools when not in use. • Clothing - Wear shoes, socks, and long pants and long-sleeves. This type of protection may be necessary for people who must work in areas where mosquitoes are present. • Repellent - Apply mosquito repellent to bare skin and clothing. • Always use repellents according to the label. Repellents with DEET, picaridin, oil of lemon eucalyptus, para-menthane-diol, and IR3535 are effective. • Use mosquito netting to protect children younger than 2 months old. • Always read label directions carefully for the approved usage before you apply a repellent. Some repellents are not suitable for children. • Products with concentrations of up to 30 percent DEET (N, N-diethyl-mtoluamide) are generally recommended. Other U.S. Environmental Protection Agency-approved repellents contain picaridin, oil of lemon eucalyptus, paramenthane-diol, or IR3535. These products are generally available at local pharmacies. Look for active ingredients to be listed on the product label. • Apply insect repellent to exposed skin, or onto clothing, but not under clothing. • In protecting children, read label instructions to be sure the repellent is ageappropriate. According to the Centers for Disease Control and Prevention (CDC), mosquito repellents containing oil of lemon eucalyptus should not be used on children under the age of three years. DEET is not recommended on children younger than two months old. • Avoid applying repellents to the hands of children. Adults should apply repellent first to their own hands and then transfer it to the child’s skin and clothing. • If additional protection is necessary, apply a permethrin repellent directly to your clothing. Again, always follow the manufacturer’s directions. • Repair broken screening on windows, doors, porches, and patios.